Cornwall is one of my favourite places to visit. 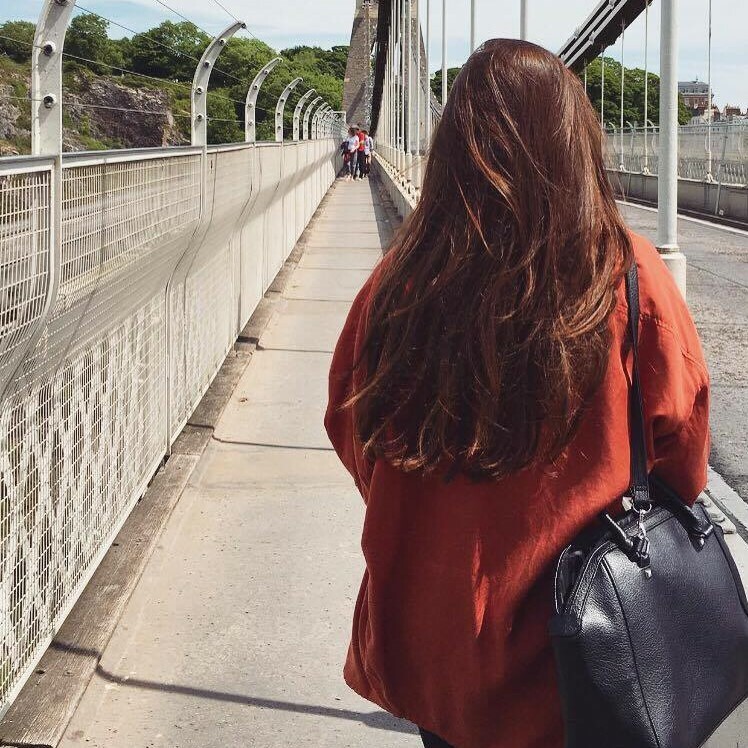 You all know I love a good staycation – sometimes being in the UK for a holiday is just as amazing as being abroad! When the weather is just right, you could be anywhere in the world. I recently took a trip to stay there with my family. We love to visit each year, and always stay in the same cottage in a village called Lugdvan. 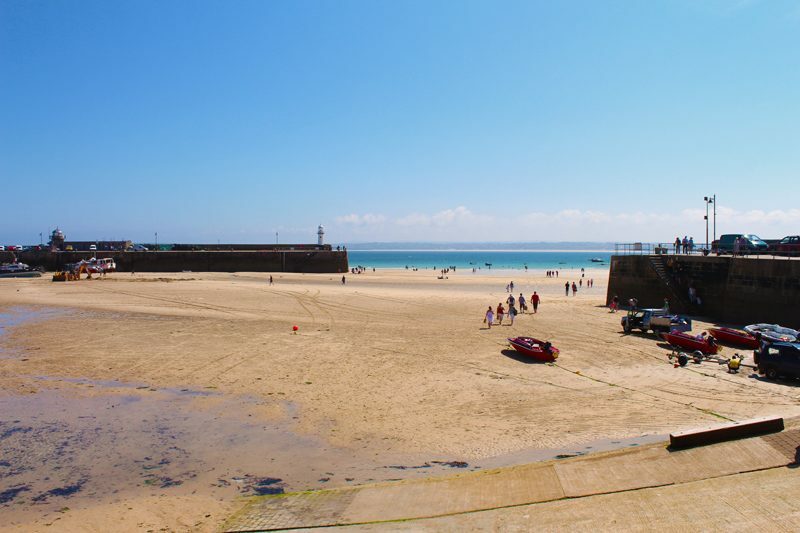 It is just outside of Penzance, about 15 minutes away from St Ives. If you go to Cornwall, it is definitely worth having a car so you can travel around as much as you like. We stayed for 6 days, which was just the right amount of time. I wrote a ‘Postcards from The Wild Place‘ blog post which I loved – lots of photos for lovely memories. I have done the same today, with a little selection of my favourite pictures I took. 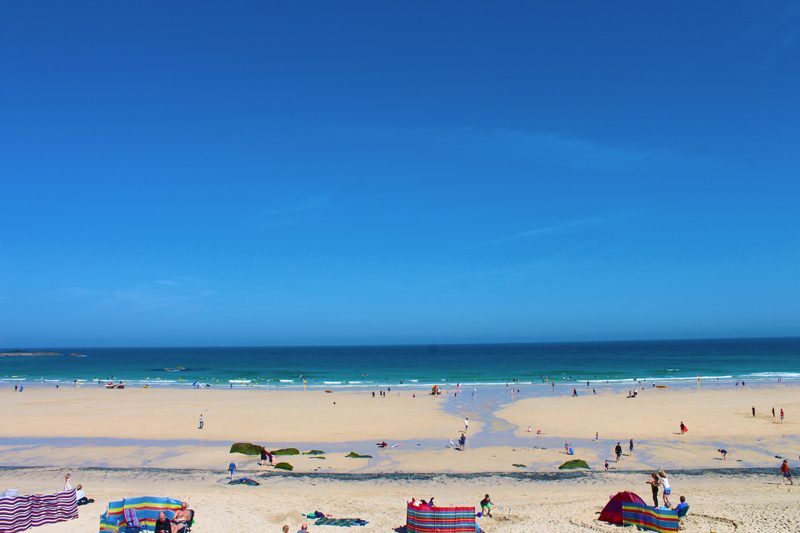 When I go to Cornwall, I feel like I can breathe better and felt full of ideas! I had no WiFi there, apart from at restaurants. It actually felt really good to have a bit of a digital detox. I spend all day looking at a screen at work, then come home and stare at more screens while I work on my blog! It definitely did me some good to spend some time away from the internet. It is so easy to spend 12 hours a day working on technology so being forced away can be the best thing. That isn’t to say I avoided the occasional check on social media – I’m not perfect! I took my camera everywhere with me. The scenery is beautiful where we stayed so I knew there would be lots of opportunity to take photos. I have never studied photography or been on courses, so I’ve just taught myself through trial and error. I’m pretty happy with my beauty photography at the moment, but I’m not used to taking landscape/scenic photos. Cornwall was a great place to practice. 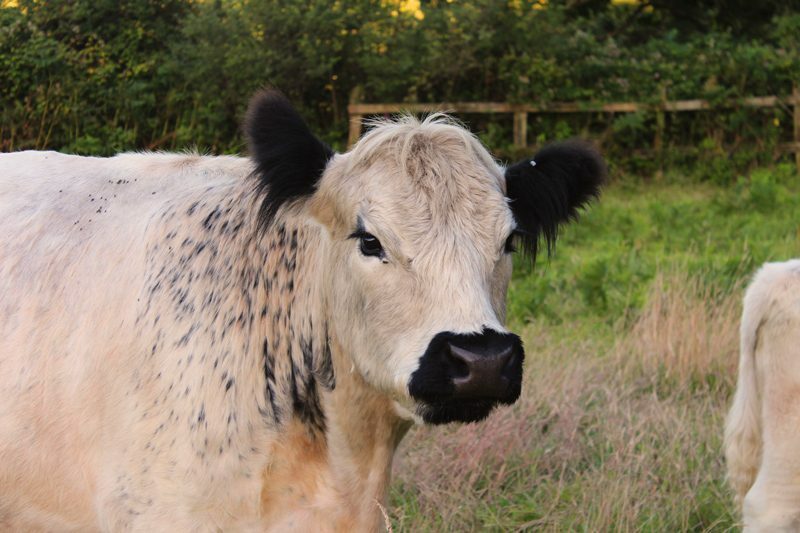 How beautiful is the cow in the photo about?! I know you might not think a cow is pretty, but her eyes look so sweet, like she has makeup on! Eyelash envy. 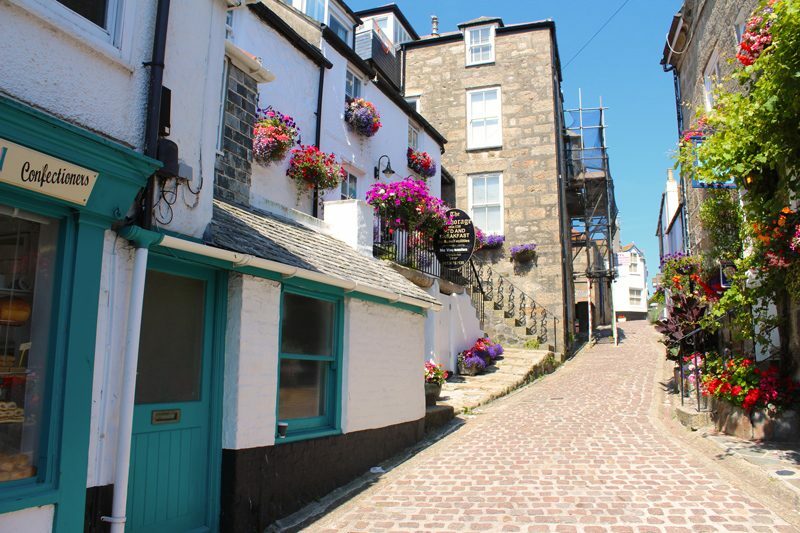 St Ives is one of my favourite places to visit. There are so many places to explore. 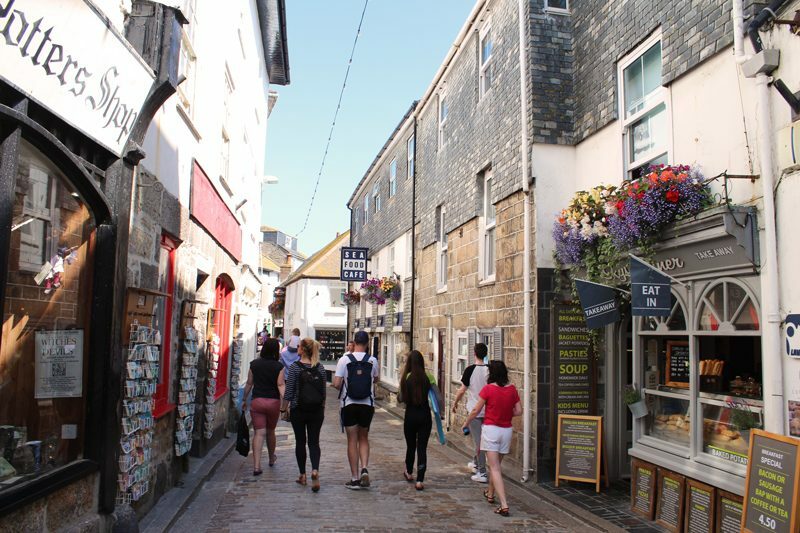 Bakeries, gift shops, pasty shops and lots of beach-style shops – SeaSalt, FatFace, Jack Wills and so on. You could probably spend a week there alone and still not have time to look everywhere! On a sunny day, you could be walking through the old part of any town abroad, I love it. Marizion is another great place to try. 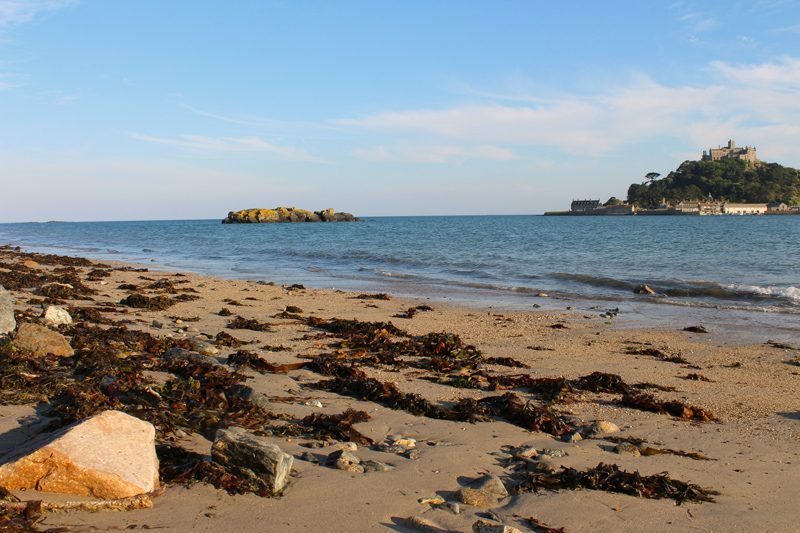 St Michaels Mount, which is pictured below, is a National Trust property well worth the visit. You catch a little boat over to the island! Definitely worth a visit. I have a lovely holiday in Cornwall. A perfect change to relax and wind down! Back to normal life now! You take such lovely photos! 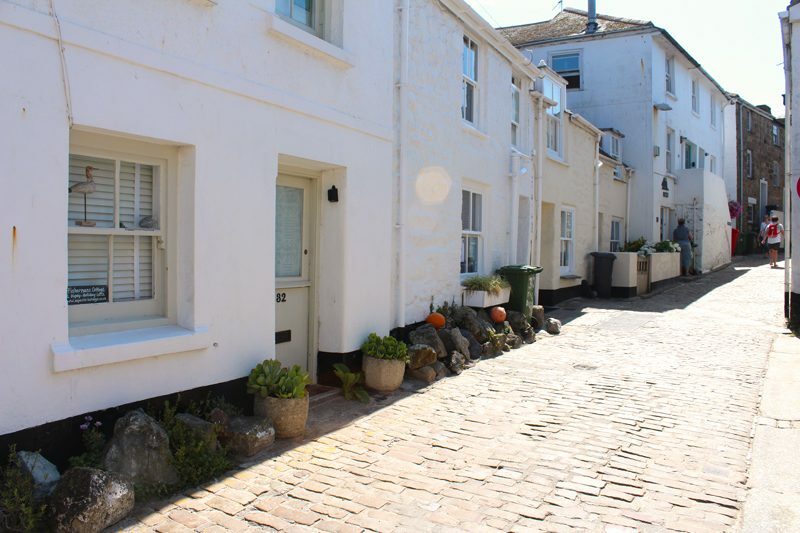 Funnily enough, I’m actually going to St Ives at the end of August, which I’m super excited for. I’ll be sharing lots of pictures on my social media and blog too – yay!